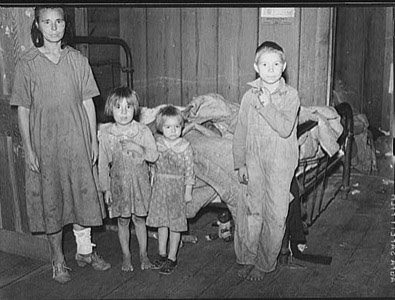 Do you remember reading about the Great Depression in your history class? This is a photo of a Rural Rehabilitation family. According to the nurse’s report, the children had hookworm and the mother had pellagra and milk leg. Unfortunately, history has a way of repeating itself. I’ve been giving this a lot of thought since the implosion of Bear Stearns. I really think that times are going to get tough, and that nurses need to start thinking of ways to help their patients. I've turned to some of my nursing history books to see how nurses use to care for patients during hard times. I bought this book on eBay. 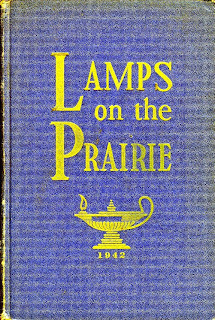 Lamps on the Prairie was published in 1942 and was compiled by the Writers’ Program of the Work Projects Administration in the State of Kansas. This book is full of great nursing history. Here are some examples from the book. I’m not making this up. This is a cage bed. Strong wire reinforced the wooden slats. Mental health patients who were housed in asylums lacerated their knees, backs, hips and elbows as they fought to escape from these instruments of torture. These beds were used before the advent of antipsychotic medications. Nurses went to lawmakers and were instrumental in getting rid of these horrible things. Nurses must continue to be vigilant, and report abuses in the health care system. The authors of the book wrote a lot about hydrotherapy. 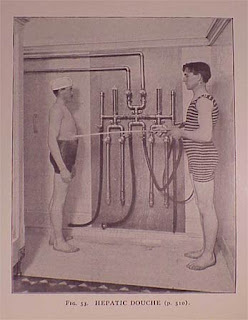 I thought that hydrotherapy was really weird until I learned about its history. There was a time when people didn’t believe in taking bathes. There were a couple of reasons for this. Some people didn’t bathe because of religious reasons, but many more didn’t bathe because they thought it would lead to ill health. Unfortunately, unsanitary conditions led to multiple health issues that could have been prevented with the use of soap and water. The book explains how nurses worked hard to teach patients the benefits of bathing. The man in the picture is receiving a "hepatic douche." Nurses must focus on preventative care so patients can stay healthy. My favorite part of this book includes information about homemade medications. Major drugstore chains might want to consider selling powders and potions that our grandmothers were buying back at the turn of the century if the economy keeps tanking. During the Great Depression, housewives cured illnesses such as dropys, melancholy, and consumption by using tried and true goodies from their local apothecary shop. Imagine how sales would spike once cocaine, opium, heroin, and cannabis indica were once again available over the counter. 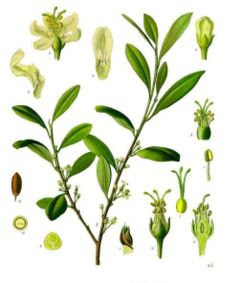 Nurses would have to teach patients about the benefits of the Coca plant. Actually, the cage beds and the hepatic douche are cousins from similar eras; hydrotherapy was widely, *WIDELY* used before the introduction of antipsychotics and hypnotics. I want one of those smart doucher uniforms, though. You give me hope, MJ. I have the same uneasy feeling, actually, and I don't tend to embrace living in fear. We have our guns and fishing poles, but I have three little kids and that doesn't help me sleep. Wow! Crazy times in the past. In today's world it is astonishing to think one could go to the store and ask for a shot of heroin and not be locked away! 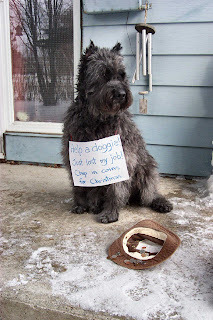 I'm so glad that those times were documented. Imagine what those writers had to go through to get those stories. Thank you. What I really want to know is, what is milk leg? Thank you. Interesting timing for this post for me: just had a short lecture on the history of opiates. Also, the hypodermic needle was invented so to give morphine via injection (not however IV -- that came later -- remember the name means "under the skin") The idea was that if not given by mouth, it wouldn't be addictive b/c it didn't stimulate the "appetite." What an interesting post. Crazy stuff those hepatic douches and cage beds. 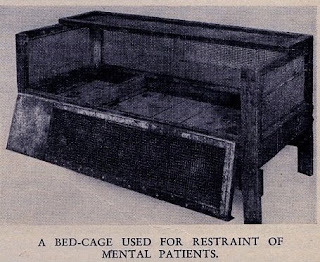 I always thought the cage beds I used on the medical floor (don't know if they still have them) that were made out of mesh and zipped around the bed were cruel. Wow. Wonder what nurses are going to say about us in 100 years? I often tell patients to try OTC medications and herbals before putting them on prescriptions. We are dying much too soon from all the preservatives and chemicals in our foods. I think our great grandmas were on the right track. How things have changed from those days. That cage bed looks like a coffin. If you weren't crazy when they put you in there...you were probably warped when they let you out.